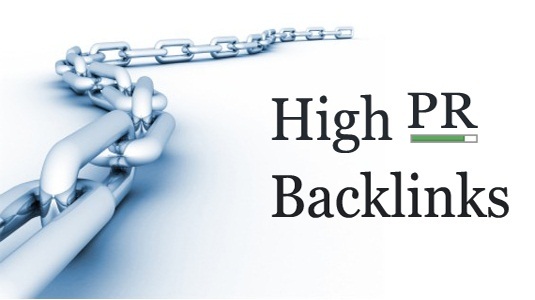 It is clear that we should have quality backlinks to gain higher ranks in search engine results. Often, success in SEO is about establishing a strong network of good backlinks. Good backlinks come from good webpages. There are ways to determine whether the originating webpage is strong enough to give excellent SEO benefits. Google PageRank is the most straightforward way of knowing whether the page is good enough to become the source of our backlinks. However, we should know the difference between simplified and real PageRank. The value shown on the Google Toolbar is actually the simplified one. Real PageRank is more complex and its real value is kept by Google. However, there is a correlation between simplified and real PageRank. Another indicator that we can use to determine the strength of webpage is Alexa Ranking. It should correlate with Goolge PageRank. Websites with higher PageRank tend to have lower Alexa scale. In general, we won’t gain much benefits from websites than have more than 100,000 points in Alexa scale. An excellent tool to determine the strength of webpage is called Linkscape and it can more accurately determine the strength of a page. SeoMoz also provides a number of tools to determine the strength of a page. We should be aware that most of the time, our links are placed on pages other than the main page with zero PageRank. It means that the SEO benefit we get can be much lower. Even so, it is still a good idea to get links from popular and relevant websites. It is also important to know about how many links that are on the page. If we have too many links on the originating webpage, the SEO benefits can be significantly diluted. So, if the page strength is impressuve, we won’t get much benefits if there are more than 100 links on the page. In this case, we should stick with websites that have fewer outbound pages on their pages. Even if the page strength is moderate, we can get good benefits if there are fewer than 10 outbound links on the page. Another factor that we should consider is the use of keywords in anchor text of outbound links. We will get reduced SEO benefits if links only use “Click here” for their anchor text, instead of relevant keywords for our webpage. Some people choose expensive directories for the source of their links and they are not always the best solutions. Often, valuable links can be obtained from the least expensive or free sources. In some cases, companies need to spend more than $1000 each year to get annual subscriptions in a number of popular directories. Free directories often have zero PageRank and getting listed in them can still be a challenge. DMOZ is a human-edited and free directory, which is highly respected; but only useful websites are listed in there. Link submission in DMOZ may take months to achieve. For websites with lesser quality, it could even take years or never. previous articleHow Can We trust A Cloud Service Provider?